Graduated from the USB in Materials Engineering (Card 10 – Graduated in 2016). He is currently a PhD candidate at The Swedish University of Agricultural Sciences (SLU – Alnarp, Sweden) in conjunction with The Royal Institute of Technolgy (KTH – Stockholm, Sweden). 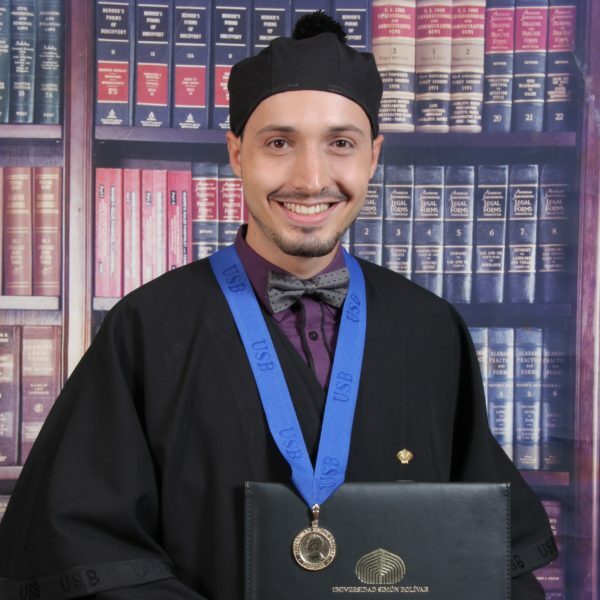 During his studies at USB he participated actively in the Association of Students of Materials Engineering (AEIM USB), as member and vice-president (Period 2013-2014). In addition, he was Teaching Assistant of the following subjects: Synthesis of Polymers and Mechanics of Materials. During his last year in the USB, he participated as Administrative Assistant of the Laboratory Unit E, Polymers section. Finally, his academic performance during his studies in the USB led him to be recognized by the Dean of Professional Studies of the USB in the program “Best Student Award, edition 2015”. Despite the distance, Antonio’s desire to keep in touch with his alma mater and support her in any way that is necessary has led him to want to join the AlumnUSB team.